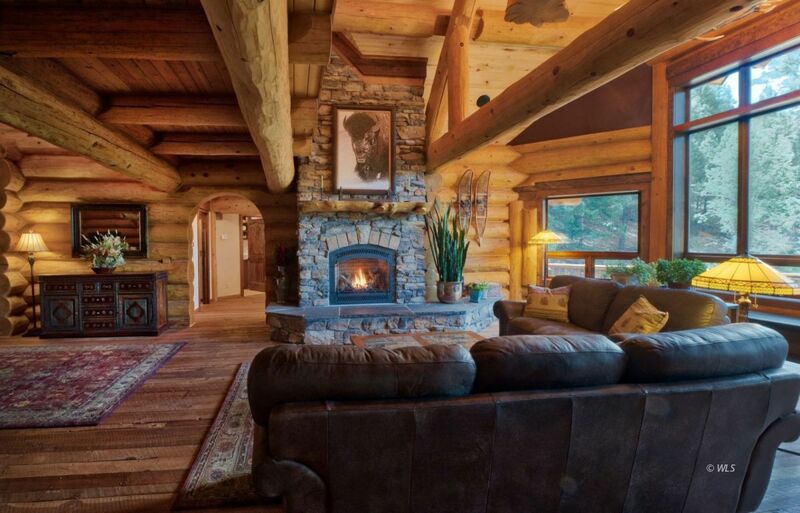 M&TG222-This VERY CUSTOM log home on 70+ acres will tantalize your taste buds for sure! Top that all off with a custom built GATEKEEPER'S COTTAGE! The land is also incredible, with breathtaking views of the Sangre de Cristo mountains, seasonal flowing CREEK right by home, huge ASPEN groves and towering pine forest. Situated in its own private valley, you will feel very secluded, but you will still have very good year round access. The log spiral staircase is massive and beautiful. For outdoor entertaining, the large decks provide ample room for relaxing and entertaining. Granite counters, Travertine tile, lodge pole railings, in-floor heat, barnwood floors, Milgard windows, 4-car garage, aspen tongue and groove ceilings--these are just a few of the many, many custom features of this fabulous home. Listed at $1,599,900.